Most people know about climate change, but few understand exactly what its impacts will be or what kinds of work can be done to address its impacts now and in the future. 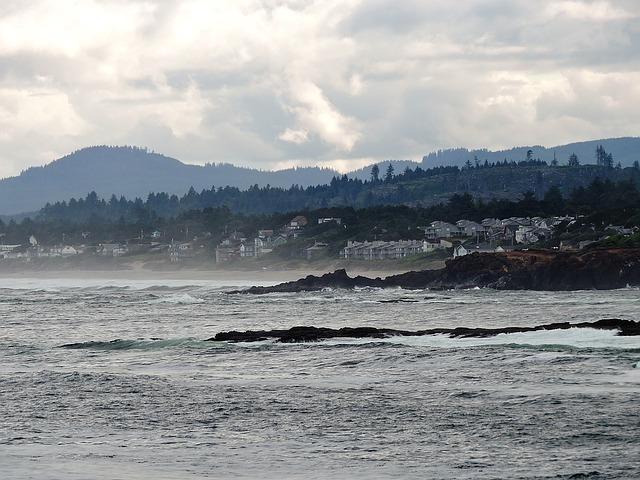 For this blog post, I talked with Crag attorney Courtney Johnson and Oregon Shores Conservation Coalition Executive Director Phillip Johnson about climate change’s effects on the Oregon coast and their Coastal Law Project work. What does climate change look like on the Oregon coast? Phillip sees climate change as the biggest underlying threat to the coast. When we chatted about protecting the coast, he remarked, “This isn’t theoretical. We are seeing more intense storms and specifically the average wave height in the Northeast Pacific Ocean is increasing, leading to increased erosion.” Climate change is causing very real effects, and they will only get more prominent as time goes on. Phillip explains that, “As sea level rises and there’s more erosional pressure on the shoreline, you’re going to see more and more push from people wanting to armor the shoreline to protect their property.” They commonly armor the shorelines using riprap, which forms a barrier between the ocean and their property to prevent erosion. However, putting up riprap is problematic because it is often placed at least partially on the public beach and does not let the shore shift and migrate landwards. This threatens public access to beaches, which has been assured to all Oregonians through the Oregon Beach Bill. Courtney told me that, “As you have bigger storm surges combined with higher tides or sea level rise, you have a backstop of the sea wall or more often the riprap that makes that public beach smaller and smaller and smaller.” Individual property owners who want riprap can cause huge problems because once one person deflects the waves onto other properties, those properties become more susceptible to erosion, increasing the demand for riprap in a domino effect. Beach front homes in Neskowin, Oregon. Using riprap to protect beachfront properties is a contentious issue for coastal communities as they try to adapt to the effects of climate change. What is the Coastal Law Project doing to protect the coast right now? 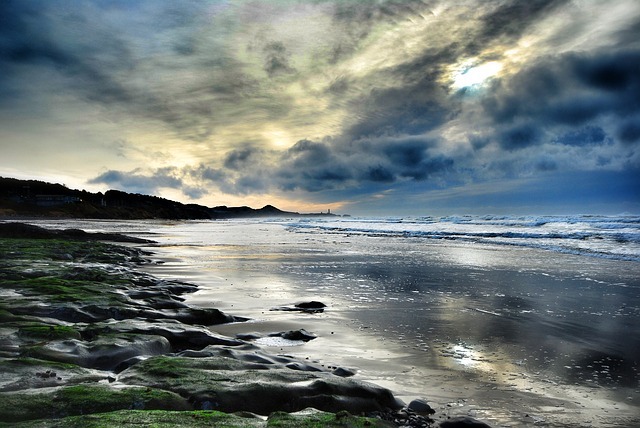 What is the Coastal Law Project doing to protect the coast in the future? With increasing threats to the coast, it is crucial to consider climate change in land use planning. Phillip emphasizes that to protect people, property, and the beaches, “The first thing to do is stop allowing any development in harm’s way from very predictable sea level rise and erosion.” Ignoring climate change will cause clear problems for property owners, estuaries, and the public coastline. Development needs to be stopped in certain areas and moved elsewhere. The Coastal Law Project supports local planning efforts to focus new development outside of hazard areas, and limit development in at-risk areas. For example, Crag defended the Neskowin Coastal Hazards Adaptation Plan after developers challenged the city’s plan to limit further residential development in areas at risk of flooding due to climate change. While some coastal communities are beginning to include climate change in their planning, many still lack the resources and expertise to do so. Phillip and Courtney both believe that a fundamental shift in thinking about development on the coast needs to happen in order to protect the coast from climate change’s effects. With increased public consciousness, we may be able to develop the political will to plan for climate change and protect coastal ecosystems and the communities that rely on them. It is important for coastal community members to get involved with planning for the effects of climate change—many city and county governments will only respond to climate-related challenges through pressure from their citizens. Pay attention signs of climate-related impacts in your community, such as increasing erosion and threats to infrastructure, and speak up when possible. Inform yourself about climate change so that you can help fellow citizens understand its likely effects, and challenge land use proposals that fail to take into account current or impending changes such as sea level rise. 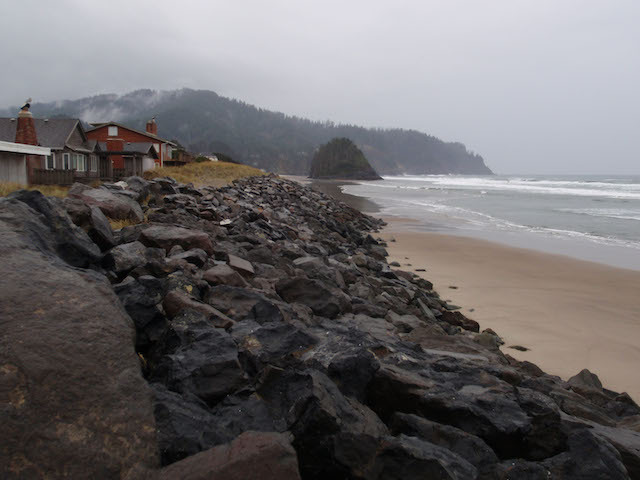 You can learn more about Coastal Law Project work at Crag’s website or Oregon Shores’ website. 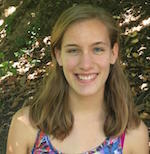 Elizabeth Allen is a rising junior at Duke University. She worked at Crag during the summer of 2017 as part of the DukeEngage program.